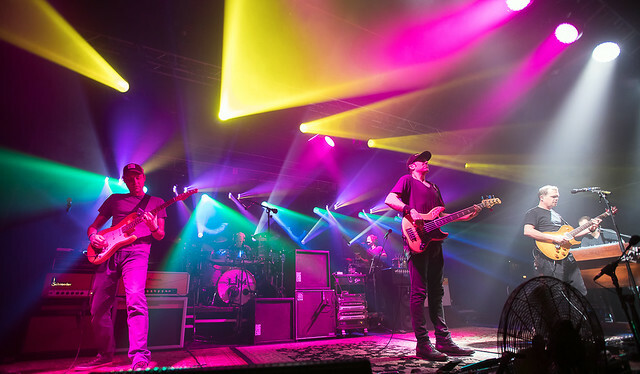 Umphrey’s McGee Brings The Jams to Charlotte Reviewed by Kris Engelhart on October 15, 2018 . 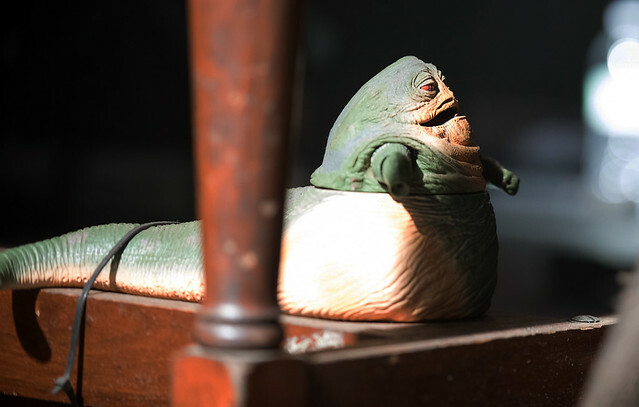 Over the years, the lineup would change somewhat with the addition of percussionist Andy Faraq after the first album, guitarist Jake Cinninger in 2000, and drummer Kris Myer in 2002, but the core remains the same with vocalist and guitarist Brendan Bayliss, keyboardist Joel Cummins,and bass guitarist Ryan Stasik leading the charge. In 2003, the band would adopt a “Lego” style of songwriting, piecing together sections and taking parts from improv sessions to create new songs resulting in tunes like “Ocean Billy” and “#5.” One of the best things about the band is the special relationship they have forged with their fans. Much like the Grateful Dead, the band encourages taping of its live shows and began a program where fans can earn complimentary tickets in exchange for sharing the recordings online. 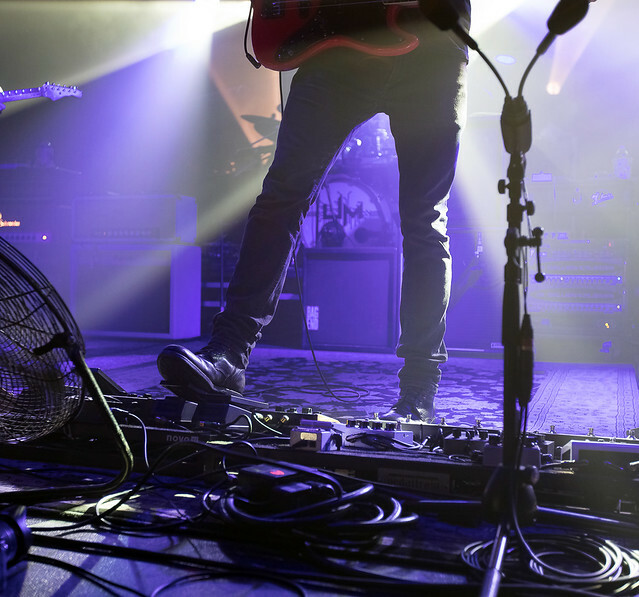 Another cool option is their Headphones & Snowcones program which allows concert attendees to get a direct feed from the soundboard via headphones and a wireless transmitter, further upgrading the overall sensory experience. 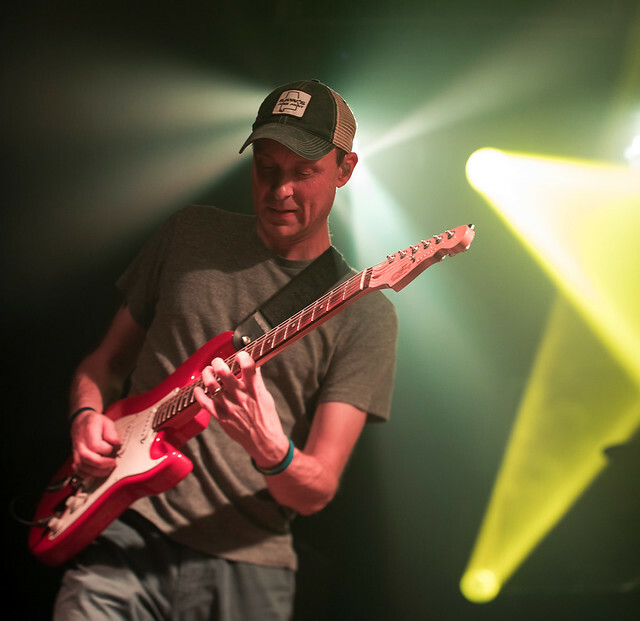 2018 has been an extremely busy year for Umphrey’s Mcgee with the release of not one, but two new studio albums. Their eleventh studio album It’s Not Us was released in January followed by their twelfth studio album It’s You in May. The group is currently out on the Fall 2018 tour in support of those records and made a stop in Charlotte at the Fillmore this past Thursday evening. I arrived at the venue about twenty minutes before show time and was surprised to see barely any people in the club. One of the fans at the barricade filled me in, explaining that at most Umphrey’s shows very few people show up for the opener. He didn’t know why and I don’t know how true that is but it was definitely the case Thursday night. Perhaps because of the length of the or an earlier start time, the crowd didn’t really filter in until about halfway through the set of the opening band, Southern Avenue. For those those that came late, they missed one hell of a set from a top notch blues band. Formed by guitarist Ori Naftaly who relocated to Memphis from Israel in 2013 to compete in the International Blues Competition, Southern Avenue is a band full of raw, natural talent Naftaly is a gifted guitarist combining a classic blues style with a modern touch. The band released their self titled debut album in 2017 via Stax Records which charted at number one on the itunes blues chart and is well on their way to the top. 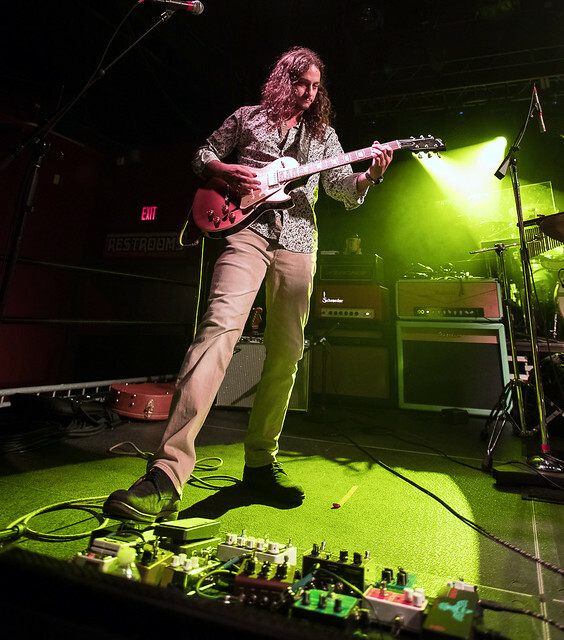 They have been getting a lot of road experience opening up this leg of the tour for Umphrey’s and have made several festival appearances this summer including the spectacular Firefly Music Festival back in June. 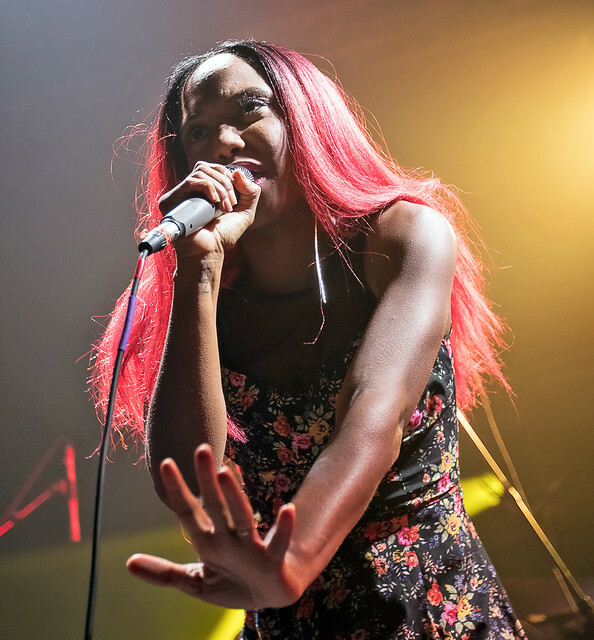 The band also features two talented sisters, vocalist Tienni Jackson and drummer Tikyra Jackson along with keyboardist Jeremy Powell and touring bass guitarist Gage Markey. Tienni is a powerhouse vocalist with a set of pipes made to sing the blues. 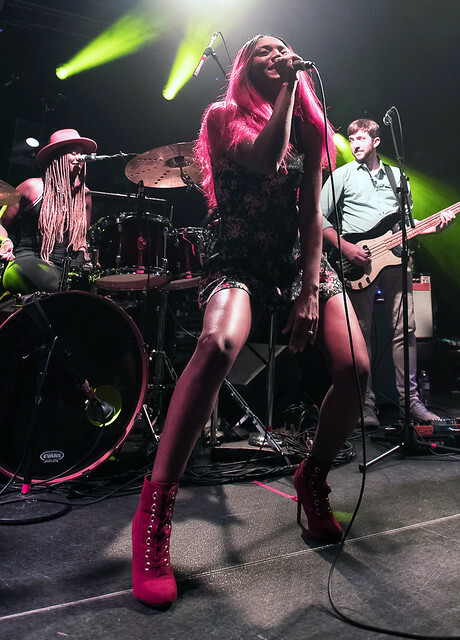 She was a commanding presence on stage and reminded me a lot of a young Tina Turner as she danced and shimmied throughout the set. After an energetic forty-five minute set, they had the crowd eating out of the palms of their hands and I expect we will see a lot more of Southern Avenue in the years to come. After a short intermission, it was time for the main event as Umphrey’s Mcgee was about to take the stage. Before the lights went out, I had a few minutes to check out the stage from the photo pit, checking out the various amps and instruments that were set up. 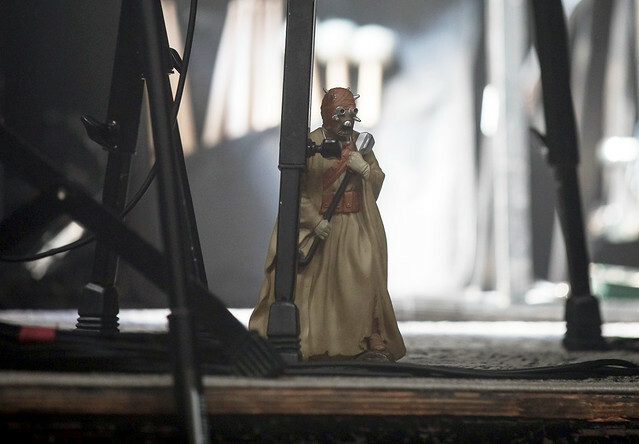 I spotted the first of several Star Wars characters set up on stage as I noticed an R2D2 figure stage right. 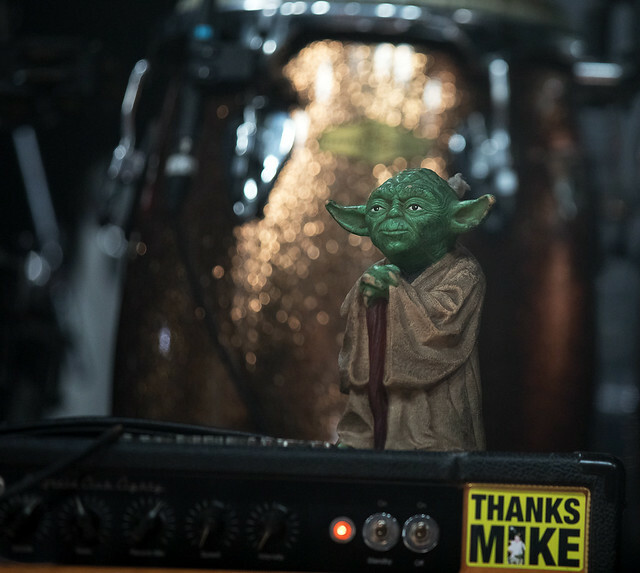 Things quickly turned into a game of Where’s Waldo while I tried to find the others, which included a Yoda atop another set of amplifiers, a Jabba the Hutt nestled under the piano, and if Google is correct what I think is a Tusken Raider underneath Andy’s percussion set up. 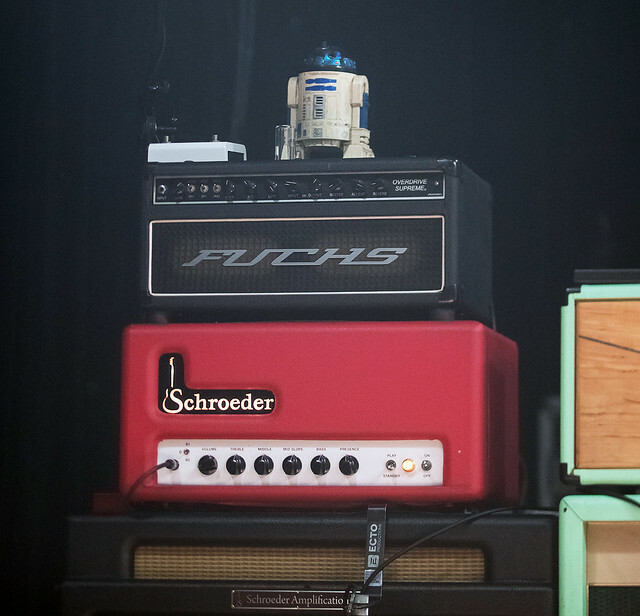 I always find it interesting to see what a particular band may choose to have on stage aside from the normal bottles of water and such. 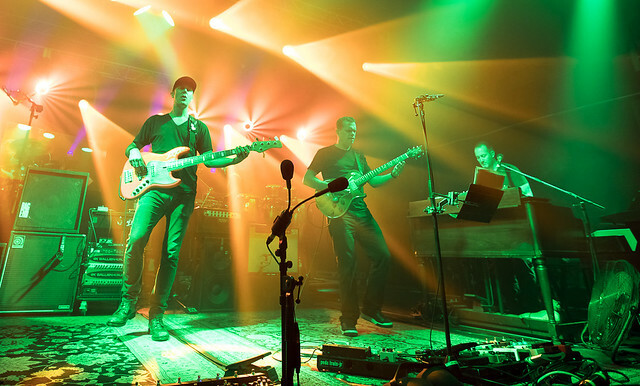 The lights soon dimmed and it was time for Umphrey’s McGee to shine. The band took the stage to a volley of cheers from the near capacity crowd and began what would be their first set of the evening. Bass guitarist Ryan Stasik was front and center with his fluorescently painted bass in hand bearing the word Doom on it. 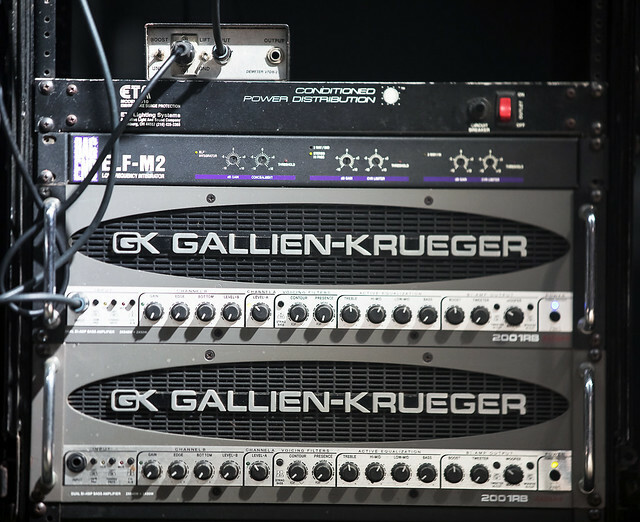 Guitarists Cinninger and Bayliss were on opposite sides of the stage as they jammes and improvised all night long. 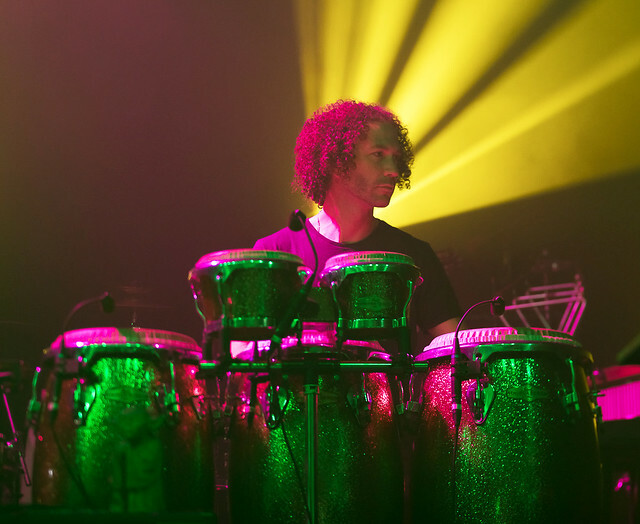 Drummer Myers was situated at the rear of the stage, hidden behind his kit with percussionist Faraq more visible behind the bongos and assorted instruments that surrounded him. Keyboardist Joel Cummins was set up to the front stage left. Accompanying the band, was a larger than life light show which was coordinated to the music and spotlighted different band members during the set. A huge shout out must be given to their lighting engineer because the result was quite spectacular.and ran the gamut from bright white lights to combinations of magenta and blue or yellow and green to near darkness. Flashing in synchronization with the music put it over the top. The light show wasn’t the only spectacular thing about the performance. The talent of each band member was on display as their varied influences could be felt all evening. Not only did you hear classic Umphrey’s McGee songs but a variety of covers and everything in between. 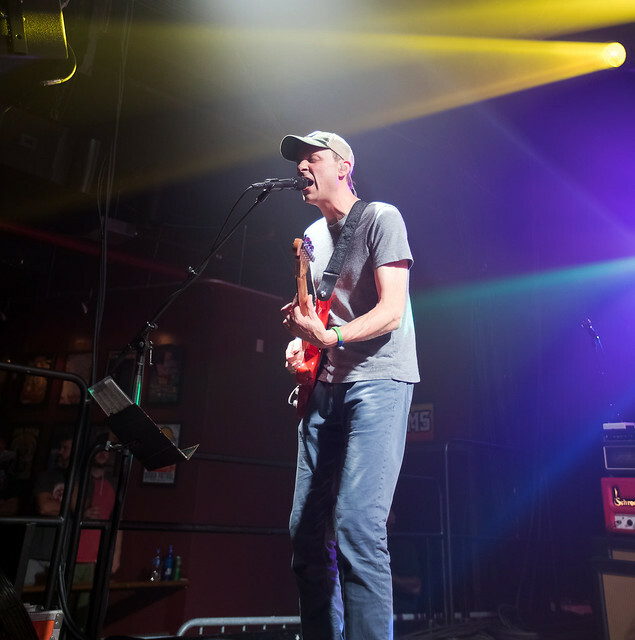 As Bayliss and Cinninger improvised leads and solos, influences from bands like the Grateful Dead, Pink Floyd, and even heavy metal bands like Iron Maiden and Van Halen could be heard. What was interesting to me was seeing them communicate through a series of hand signals much like a baseball coach would use, although a bit less elaborate, so they would know exactly what the other was going to do. After playing for an hour and fifteen minutes, the band took a break before coming back for another entire set. Most bands play for that amount of time and call it a night but not Umphrey’s McGee. They came back out re-energized and ready to go. 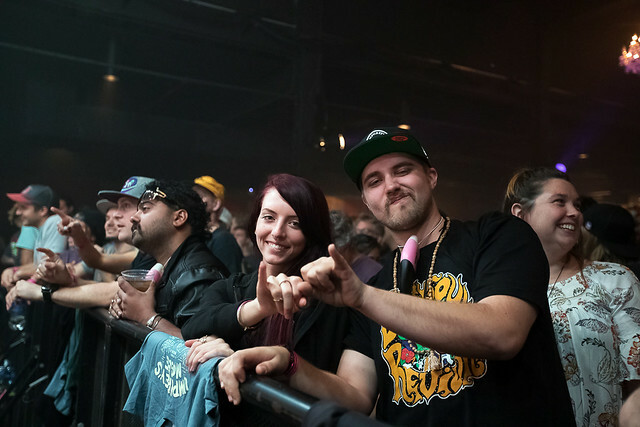 The audience absolutely loved every second of the show as they got their Umphrey’s vibe on, swaying and dancing to the beats. I saw some attendees taking advantage of the band’s headphone program while others checked out the merchandise table and pin trading area in the back of the venue. Although, the band kept the chit chat to a bare minimum, they were quick to interact with the fans. I have attended many, many shows over the years and this is the first time I saw a band openly acknowledge so many fans. Cinninger and Stasik were pointing and smiling and even lifting up their instruments to show their appreciation. A few lucky fans walked by the side of the stage en route to the restrooms and were given a salute by Cinninger. It was very nice to witness a band that appreciates its fans to that extent. Before the night was over, Bayliss made the announcement that once the set was over, the party would continue on and said they would march over to the Underground, New Orleans style, for the after party featuring Doom Flamingo, which is Ryan Staski’s other band. I’m not sure whether the fans would have the energy to continue on, but they did, as I saw a rather large crowd headed next door once the show was over. Stasik must have a secret energy formula in order to keep on going after an already exhausting night. If he could bottle it and sell it at the merch table, I’m sure it would be a big seller. For me, the night would unfortunately have to end and I would have to wait until next time for some more jams. Because the set list and improvs are always changing, you never know what you are going to hear at an Umphrey’s McGee show. It is definitely a one of a kind show and you really have to experience it first hand to completely appreciate all that the band has to offer. There is still time to check them out this fall, but hurry as dates are selling out fast. 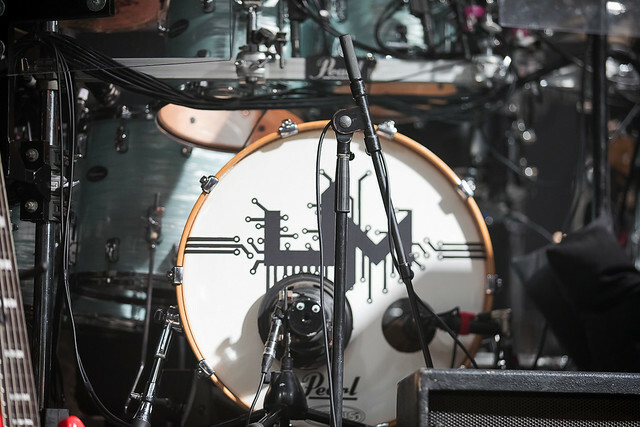 You can find all the tour information and keep up to date with everything Umphrey’s McGee at www.umphreys.com.